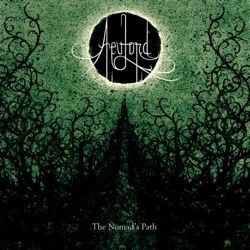 Symphonic black metallers AevLord from France are finally releasing their third full-length album, 5 years after their second effort. It is entitled “The Nomad’s Path” and will include 10 songs lasting approximately 47 minutes. After several months trying to find a record label, the band decided to stop postponing the release of their album, so they’re going to self-release it in a few number of copies. Release date is set for Halloween 2012 (31st of October 2012). Only 200 copies will be available, so try to get yours before it’s too late! Moreover, the first 50 people booking their pre-sales will receive a badge (with AevLord’s logo on it) for free with their CD! In order to benefit from this offer, you just have to contact the band (follow links below).